Japan takes pride in its samurai heritage, often reflecting on how the intense discipline and enduring sense of honor inform many aspects of modern Japanese life. 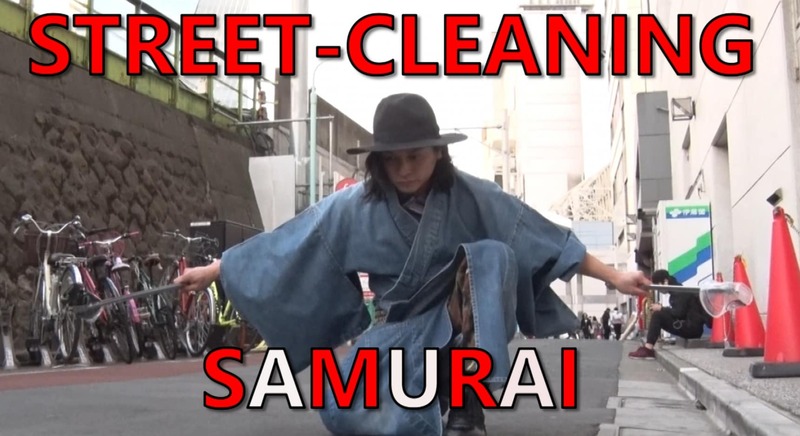 These performers take it to a whole 'nother level, using samurai moves to do battle with the litter that plagues the streets of one of Tokyo's busiest and most popular neighborhoods! Yusuke, Keisuke and Kota are members of a swordplay acting troupe. Inspired by a woman picking up trash in a park, they use their slick samurai moves to clean up the streets of the city, and hope to inspire others to take care of their environment as well.